Apple tweaks iOS rules for developers, but still no flash Apple made a few more tweaks to the developer agreement, revising how it handles interpreted code and more. What's So Special about iPhone 4's Aluminosilicate Glass The glass coating on both sides of the new iPhone has some interesting properties. 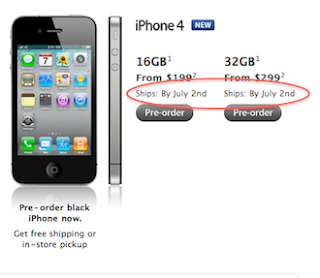 Even With Pre-Order Failures, iPhone 4 Sells Out In Under A Day Did you successfully pre-order the new iPhone? If you didn't, you shouldn't feel so bad. WWDC 2010 Session Videos The session videos from this year's WWDC are now available online (developer login required). iPhone 4 Confirmed to Have 512MB of RAM (Twice the iPad and 3GS) While this is still a rumor, it would follow past iPhone upgrades. Sleeping iPhones Send Phantom Data Large amounts of 3G data seem to be sent overnight from the iPhone according to some users. If true, this is significant now that AT&T is phasing out the unlimited 3G data plan. Does The iPad Change Everything? Publishers Chime In Top publishers attending the Big Money Untethered conference in New York this week give their opinions on the iPad. Sizing up the iPhone 4 for shutterbugs A great article summarizing the photographic capabilities of the new iPhone.